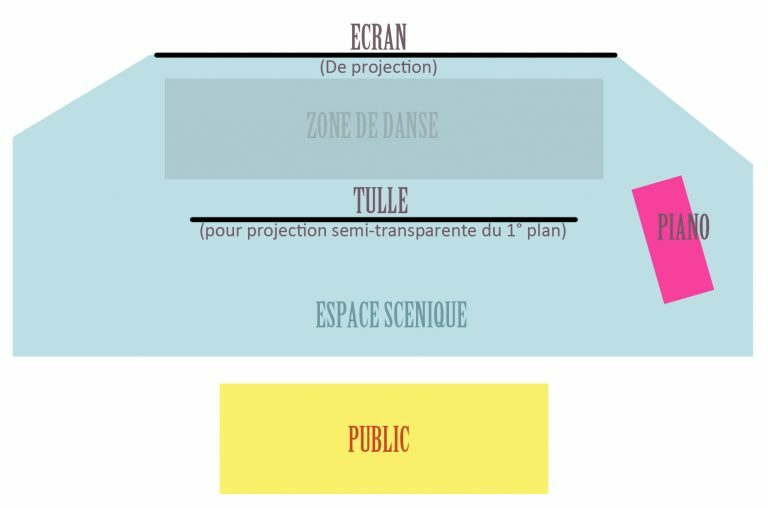 Jour de pluie (rainy day) is an interactive experimental performance. A real dancer interacts with a projected motion picture, thus some movement done by the dancer leads to actions in the motion picture. To immerse the dancer in the motion picture imaginary world we had two projection levels : a foreground on a tulle in front of the dancer and a background, behind the dancer. In this way, we could see imaginary elements moving in front of, as well as behind the dancer. For the music in Jour de pluie, a pianist was playing in live during the performance. I’ve done this projet with Maxime Causeret and Gille Deschaud. The dancer was Sibylle Liévois and the pianist Aleksey Ishchenko. To make the movie we’ve used two technics : digital animations generated by the computer and traditional handmade animations. Both techniques are displayed at the same time in the movie. See below the digital animation (made using Maya and Houdini). During the performance we’ve displayed two movies at the same time, one for the foreground, the other for the background, as you can see below. 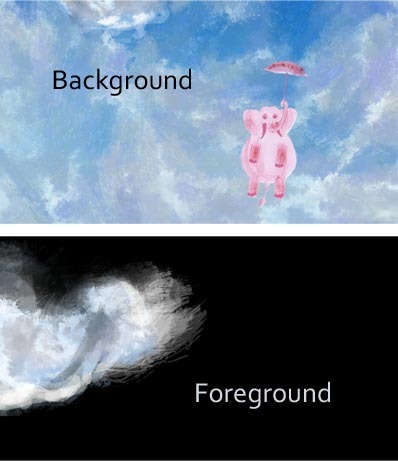 In this picture the sky and cloud are made by computer and the elephant is real painting.